Styled with varinia skirt . 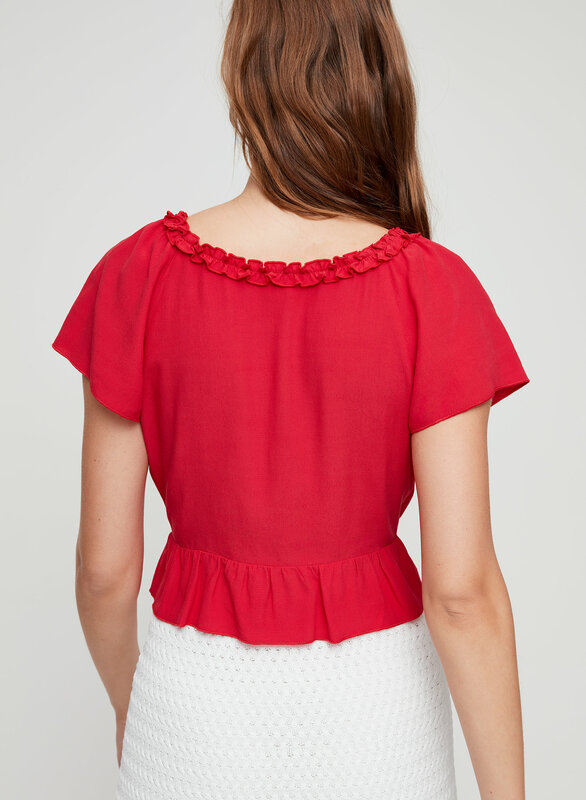 This is a wrap blouse with flounced sleeves and hem, and a ruffled trim. 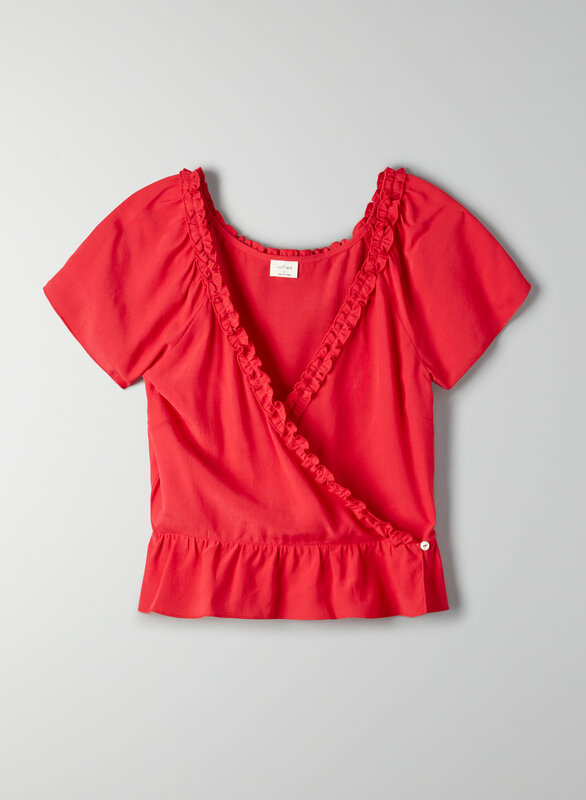 It's made with a matte, structured fabric.